Product #16076 | SKU ENCORE 300 | 0.0 (no ratings yet) Thanks for your rating! The Blue enCORE 300 Condenser Microphone reproduces vocals and speech with great detail, presence and minimal handling noise. 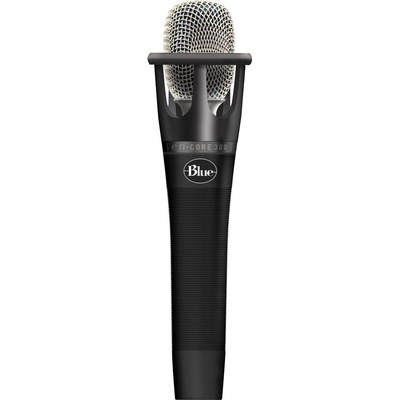 The enCORE 300 features Blue's Aria condenser capsule, and its cardioid polar pattern minimises off-axis noise and feedback. This rugged microphone features an attractive enclosure and is intended for vocal reproduction in sound reinforcement and studio recording applications.